Hey guys it feels so good to be back to posting video and DIY ?tutorials! They are my favorite! Today we are going back to the darling pink dresser which we have worked on for the last few weeks. 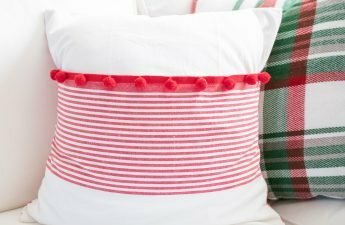 I shared how to prep the furniture and how I painted it in previous posts. Today I am sharing?how to distress milk painted furniture and then seal it. I previously painted a different dresser white also in milk paint and showed you how I got a very chippy farmhouse look. 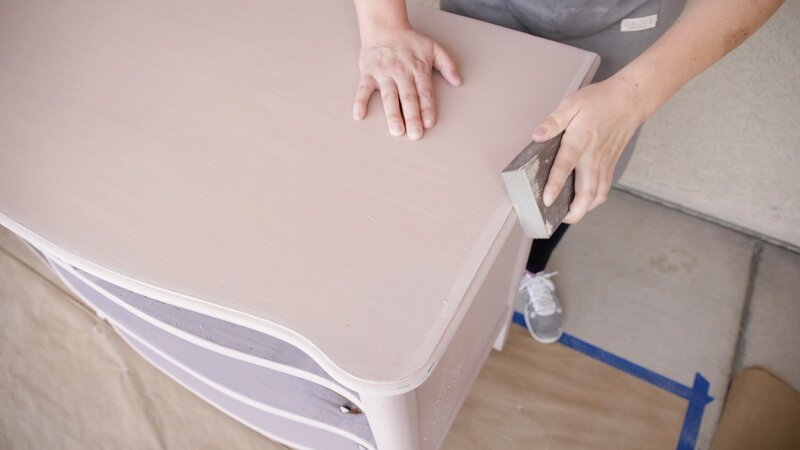 This pink dresser however has been all about getting a solid finish. 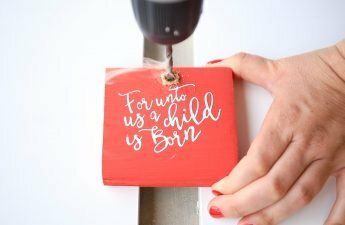 Milk paint can be tricky and difficult to work with. ?These tutorials will help you have full control of your paint. Meaning it only distresses as much as you want it too or not at all if you so choose! 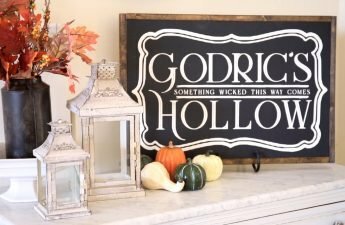 I was quite honestly afraid to use milk paint after my first failed attempt! I want to tell you how glad I am I tried again! Milk paint is such a beautiful medium, truly unlike any other paint. If you have the right products and use the right techniques there is no reason to be afraid! 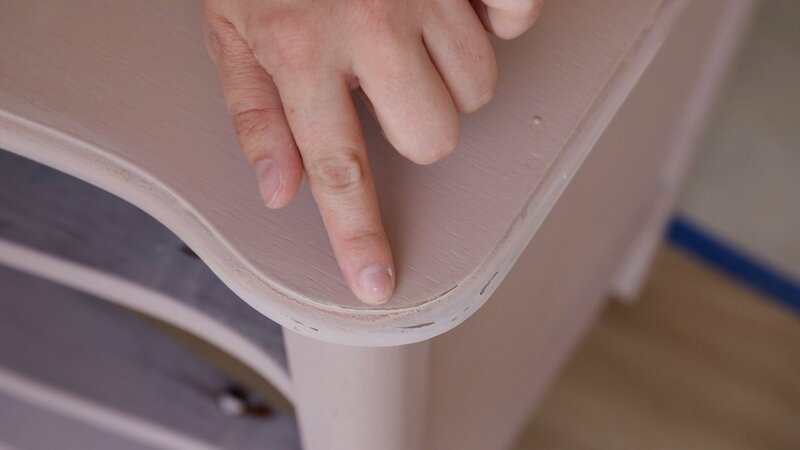 In fact if you follow the many tutorials I have shared on my blog and youtube channel ?you will be well on your way to painting absolutely beautiful furniture! Its my promise to you! For this project, ?I have used Miss Mustard Seeds Milk Paint. I have literally painted dozens of pieces using this line of milk paint.I have tested out different colors and other products in the line and I promise to share all I know as we work from one step of the project to the next. I am not sponsored or paid to tell you about this paint or to hand out ?glowing reviews. I truly love this product and have not felt the need to stray from it since day one! Each bag of paint I have purchased on my own and I promise its worth your investment and time too! Now lets get to the fun stuff! I am excited to share with you that you truly can paint furniture with milk paint while remaining in full control of the chipping process. Its a paint that will literally chip away all on its own as it dries. But if you followed my steps on how to paint in THIS post you are now ready to move on to distressing and sealing the paint. One fun step and the other a vital step! 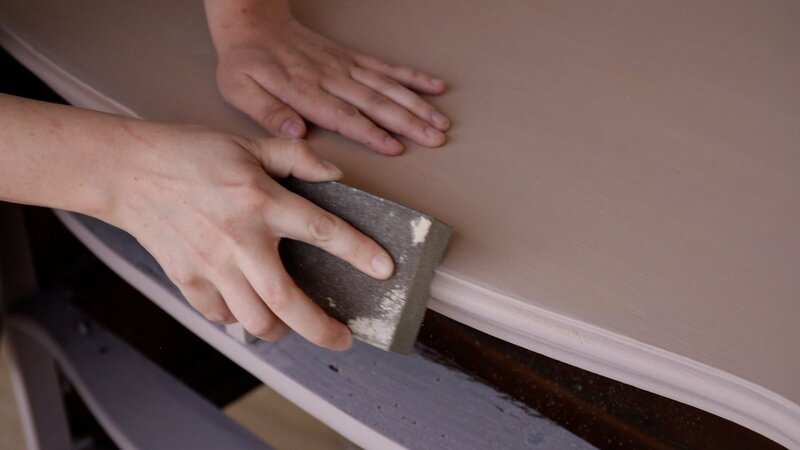 Using your foam sanding block gently start to rub the block on the edges of your furniture. You will eventually see the wood beneath the paint start to peek through. Congrats you did it! lol thats really all there is too it. If your foam sanding block isn’t cutting it simply place the sanding pad over it gripping the edges over the block. The block will create a great surface to grip the pad and easily distress. 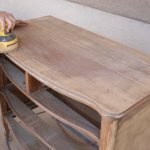 How to distress milk painted furniture: When I distress I do not distress any of the flat surfaces. I stick to the edges and I also don’t distress the entire edge. I truly think less is more. I concentrate on areas that I think would naturally distress over time. Such as the corners. I like to avoid the flat surfaces because this where I find things usually go south. Its easy to over work a piece and start really going to town when you distress the flat surfaces. Often times I’ve done this when I first began painting furniture. Only to take a step back and realize I’d over done it and wasn’t pleased. So I just leave them as is. I will however use my foam sanding block to smooth them out. I like to start at the top and work my way down. This just helps me remember and keep track of where I’ve already distressed and work quickly. This is?how to distress milk painted furniture. Milk paint also has texture unlike other paints. 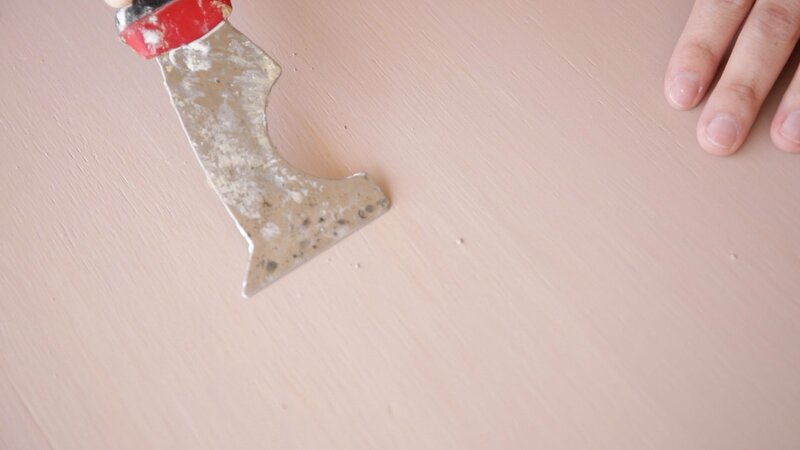 You will find that small little clumps of paint may dry in place after you paint. I simply rub a putty knife over those and scrape them off gently. I like the way this looks but you could always paint over or wipe them off as you paint. I have already covered this process in depth in THIS post. I will tell you that my absolute favorite top coat is a polyurethane top coat. Its the product I use in the post I just linked. Its Varathane Unique Soft Touch Matte Poly Top Coat. Now let me tell you topcoats have been a lot trickier to figure out. 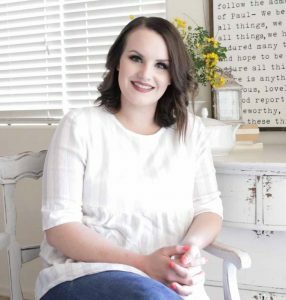 I’ve tried a lot of different products and even though clear furniture wax is what most furniture makeover bloggers will tell you to use, I’m here to say don’t. I have used it in my home on so many pieces only to find that besides “enhancing” the paint it doesn’t protect the paint. EVERY piece of furniture I’ve finished with a wax has scratched and chipped over the years with normal wear and tear. Not at all holding up the paint job I spent so much time and effort achieving. For this reason I only use polyurethane top coats now. They last longer and while a little trickier to apply are so worth the extra time and effort! This particular poly top coat is also a great and forgiving poly. It isn’t as hard to work with as others I’ve used so if you’re hesitant to give it a go this is a great product to start with. It also has a very ?beautiful and matte finish. This is another thing I’ve found to be difficult. 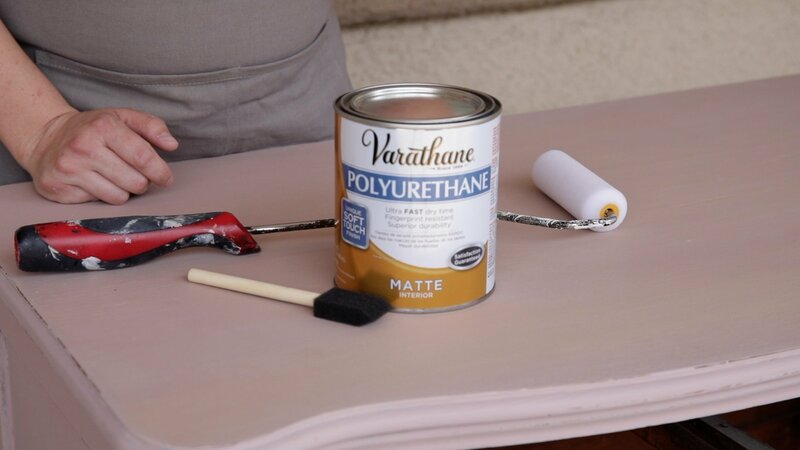 Finding a true matte top coat that isn’t a furniture wax is nearly impossible to find! This product however has the durability and the matte finish I’ve love! I really think you’ll love it too! 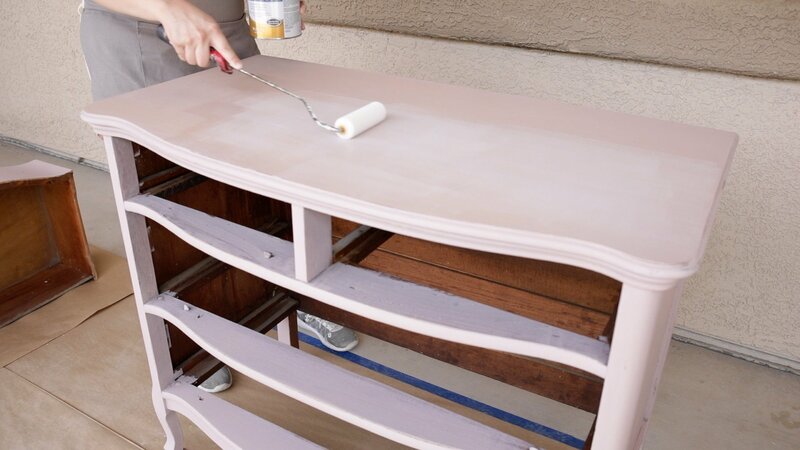 Now you know?how to distress milk painted furniture and seal it! Next week we will finish up this dresser! I will be adding some fun paper and knobs and sharing some tips and tricks as I do so!